The perfect balance of modern romance is found in today’s Friday Favorite. 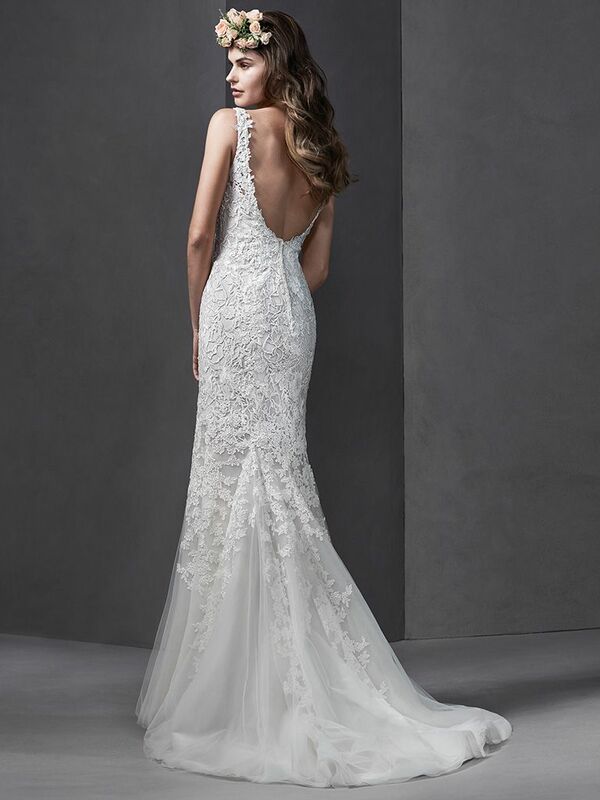 A slim lace wedding dress, Brooklynn embodies the traditional romance of lace, with an updated twist… a plunging back, modern tank straps, and bold floral appliques. 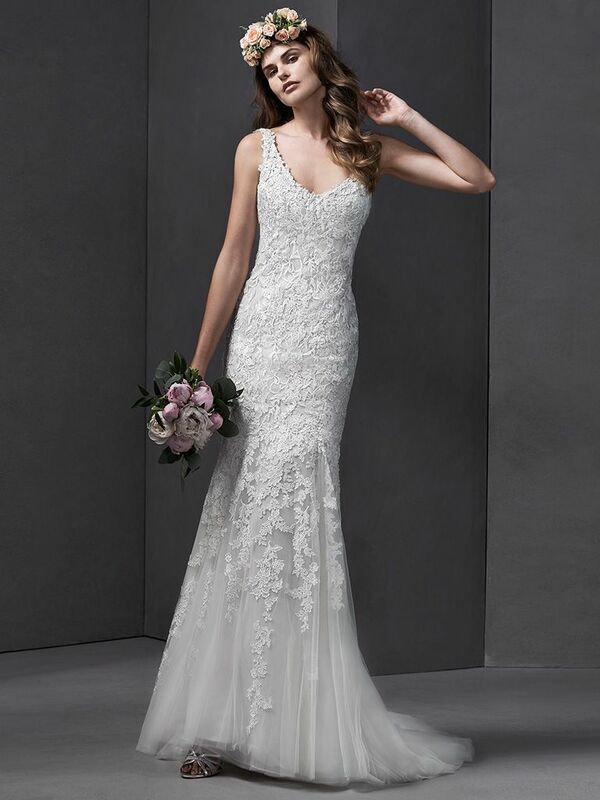 We envision this slim lace wedding dress accompanying an outdoor soirée, perfect for a spring or summer wedding. We love the idea of pairing this beautiful wedding dress with a lush floral crown, full of vibrant blooms, and loose cascading waves, or an edgy braid for a more bohemian look. 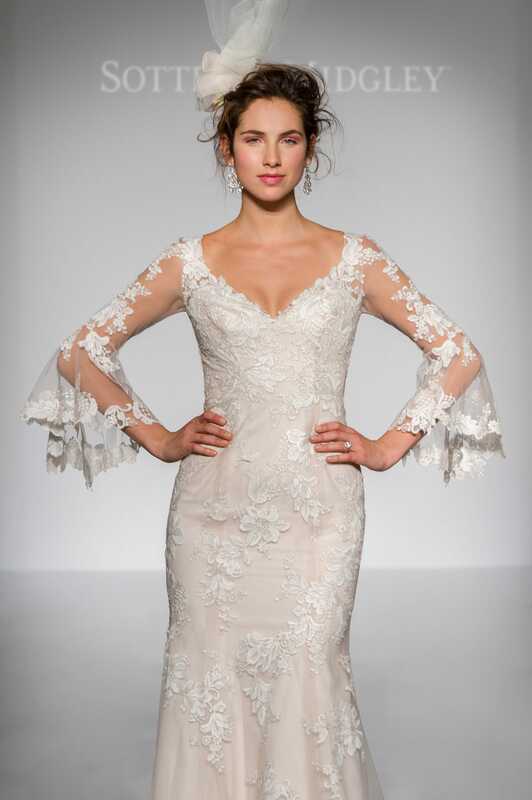 What do you think of this romantic wedding dress? How would you style Brooklynn? Leave your feedback on our Facebook page!